We are delighted that the Middlesbrough Reading Campaign is supporting the Storybook Dads initiative by donating a range of children's books. Storybook Dads helps imprisoned parents to record themselves reading a story - the recording is then sent to their child along with a copy of the book they are reading. It helps parents to feel connected to their children while in prison, and improves both the parent and child’s literacy skills. 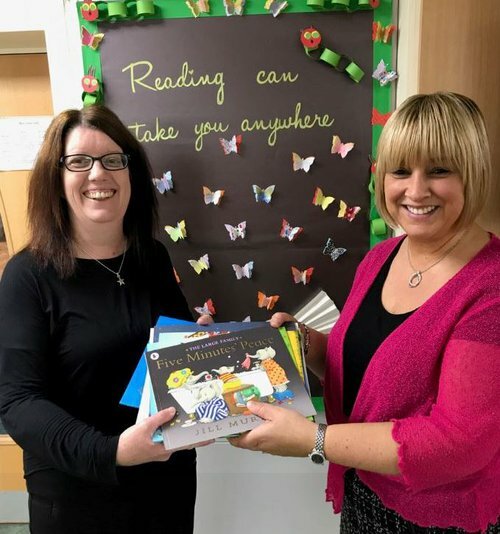 Our Middlesbrough Hub manager Allison Potter met with Sue from North East Prisoner Family Support to present her with the books, which will support the project at HMP Kirklevington.